Our custom swomen’s wrestling singlets are 100% sublimated and made to order for you. We can create a cooling looking design for your team or replicate virtually any design you like. If you can dream it, we can create it – our popular women’s singlets all over sublimation which puts you in the driver’s seat. 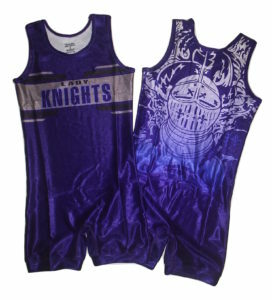 Our sublimated wrestling singlets are excellent quality and one of the lowest price points of any national supplier. This singlet will be produced after you order, and are ready to ship in 3-4 weeks.